Anthrax is an American thrash metal band from New York City, New York. Formed in 1981 by guitarist Scott Ian and bassist Dan Lilker, the band has since released ten studio albums, multiple singles, and an EP featuring American hip hop group Public Enemy. 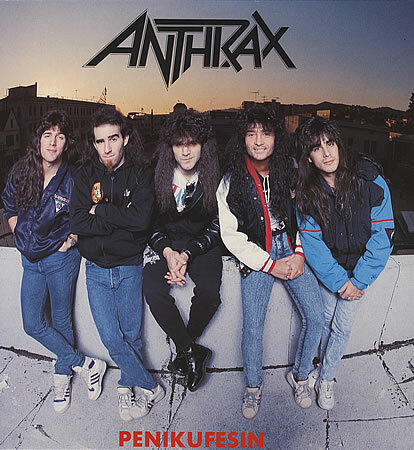 Reputed for its energetic live performances, Anthrax was signed to Megaforce Records, which issued the band's debut studio album in 1984. Soon afterwards, Lilker left the band to form Nuclear Assault; he was permanently replaced by then-roadie Frank Bello. With a new lineup, the band recorded its second album, Spreading the Disease (1985), which was distributed by Island Records. DISCLAIMER : The content provided in this application is hosted by YouTube and is available in the public domain . We do not upload videos to YouTube . This application is just an organized way to search and view YouTube video is to make it convenient for you to watch this video.